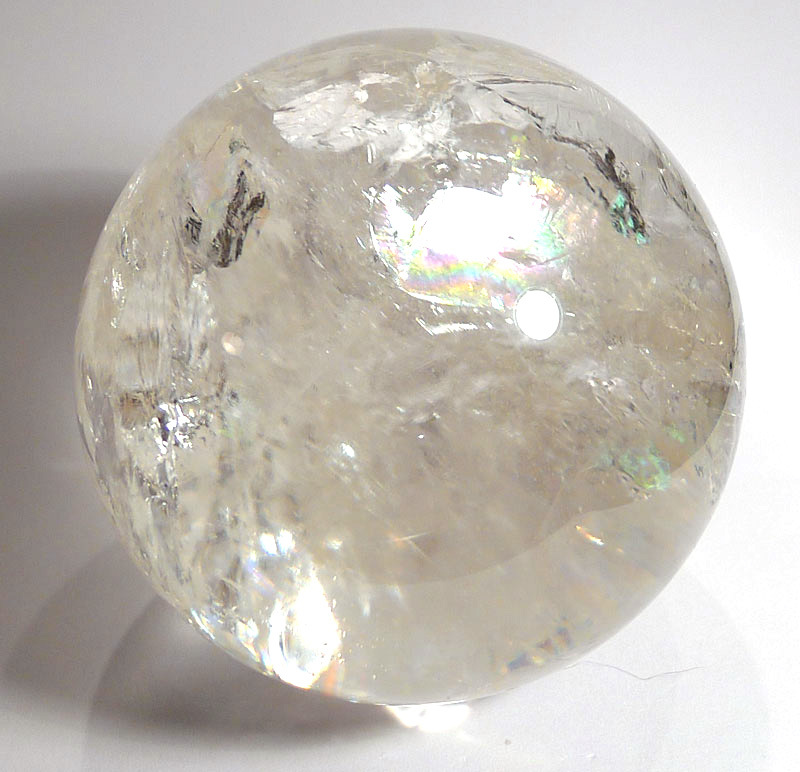 Rainbows occur in clear quartz when natural internal fractures prism light into the full colour spectrum. This is said to bring additional energy into the crystal, and make it more suitable for balance and healing at every Chakra. It can also lift the spirits and help clear negativity on a personal level. Katrina Raphaell comments that the rainbows come from trauma and damage to the crystals, reminding us of the beauty and balance that can blossom out of the hard knocks we experience on our journey through life. 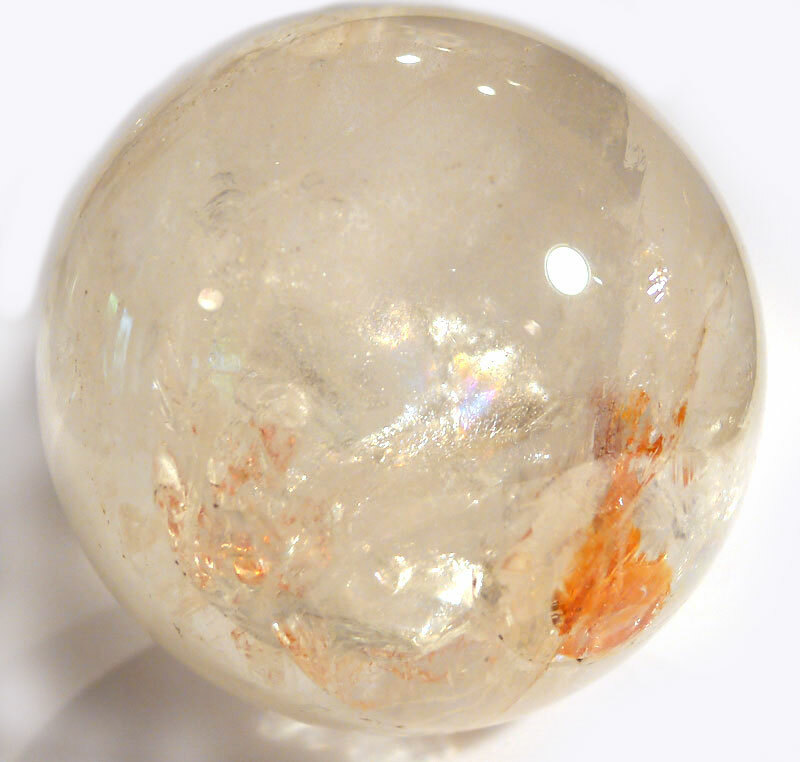 Rainbow quartz spheres make very effective skrying crystals (for crystal gazing).